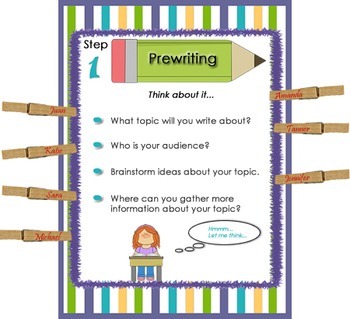 This pencil shaped Writing Process sign adds a great pop of color to your classroom while reinforcing the steps visually. 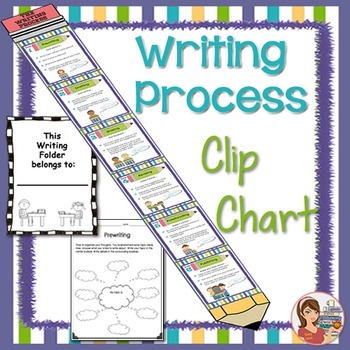 You can easily monitor your students' progress by having them clip a clothes pin with their name on it, onto whichever step they are at. 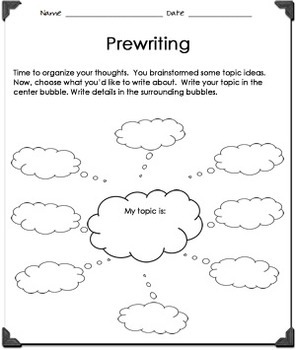 • 2 Brainstorming graphic organizers to get students started. For best results, print in high quality color and laminate for years of use.